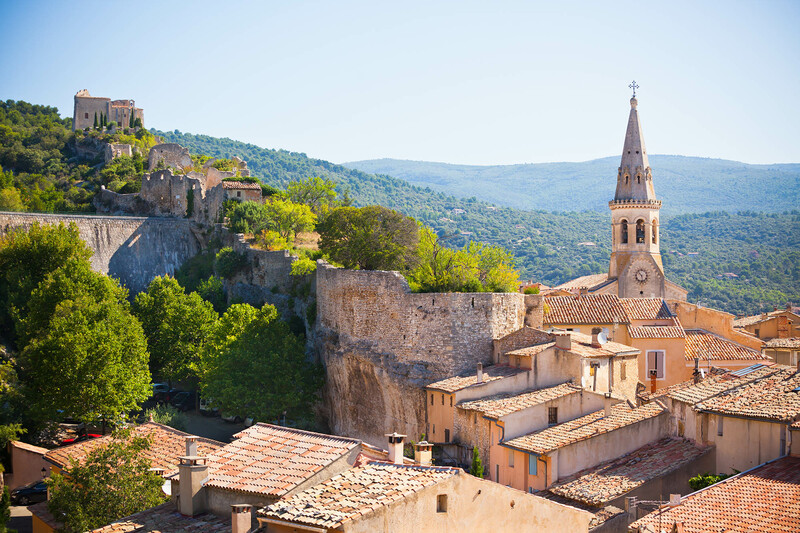 Select luxury self catered rentals, set in the unspoilt village of St Saturnin Lès Apt in the heart of the Luberon Regional Park, Provence. We have a three bedroom house, set in its own garden with swimming pool, two one bedroom ‘gites’ adjoining our own home sharing a large infinity pool and a further suite where we offer bed & breakfast, ideal for shorter stays. All are located just a 750 metre easy walk from the charming unspoilt village of Saint Saturnin Lès Apt, and all have fast, free unlimited wifi. We are on hand to welcome our guests and help with any tips or advice to maximise your vacation. Designed and built by us in 2009, a superb three bedroom, three bathroom house with private swimming pool in its own garden, a real home from home where we have tried to provide all comforts to maximise your holiday enjoyment. Les Cerisiers, named after our cherry trees, is one of two gites enjoying wonderful views over the surrounding countryside, Luberon hills and stunning infinity salt water swimming pool. 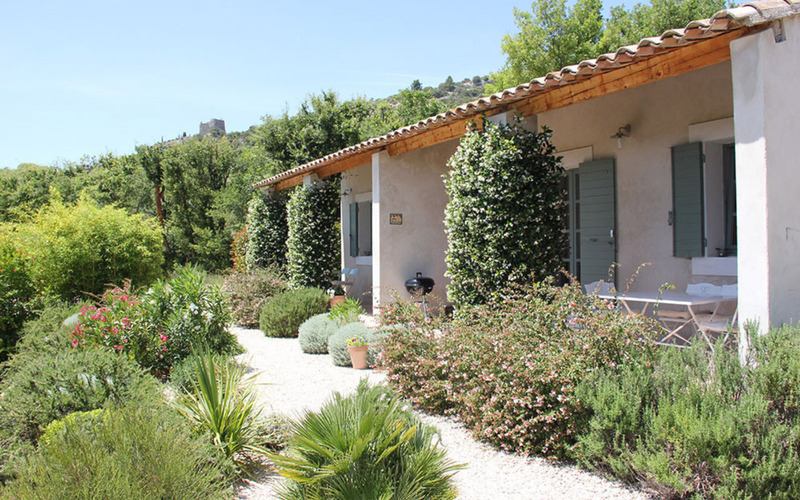 Les Oliviers, taking its name from our Olive orchard, is the second of our two gites also enjoying wonderful views over the surrounding countryside, Luberon hills and stunning infinity salt water swimming pool. A comfortable double room between our own home and gites with private entrance and terrace where we serve continental breakfast each morning. 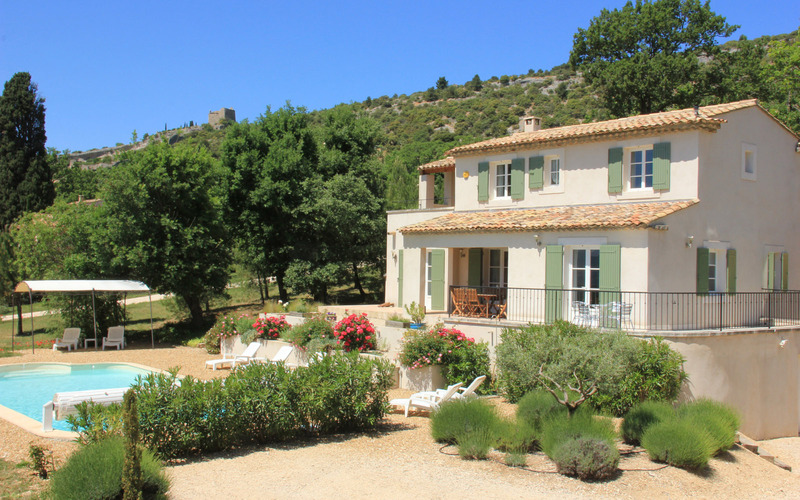 Fabulous views over the garden and Luberon hills. Our properties are in a quiet, peaceful location with beautiful views over the Luberon hills and countryside and are within easy walking distance of the village and a perfect base for discovering the famous perched Provencal villages of the Luberon – Gordes, Roussillon, Bonnieux & Menerbes as well as many other less known authentic villages which we have explored and can share details of with you. 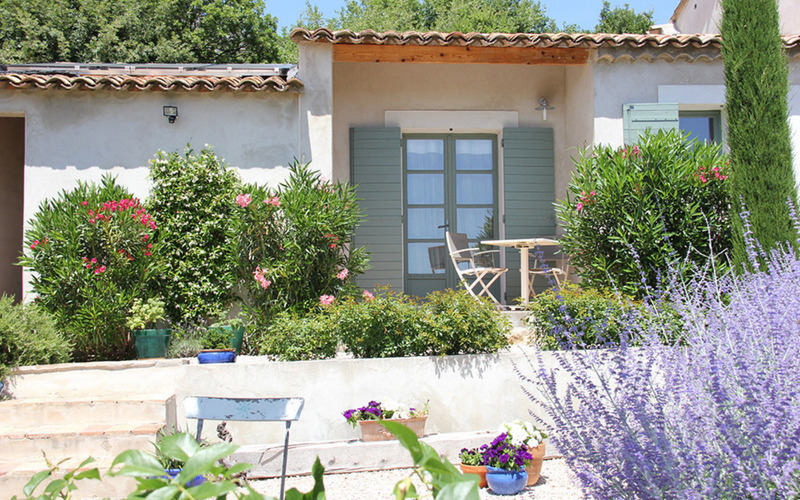 This gîte really is perfect – and we have stayed in a LOT of gîtes in France! Really well-presented and well-equipped with lots of personal touches. Spent a wonderful week in Provence. One of the best self catering apartments we have ever stayed in!